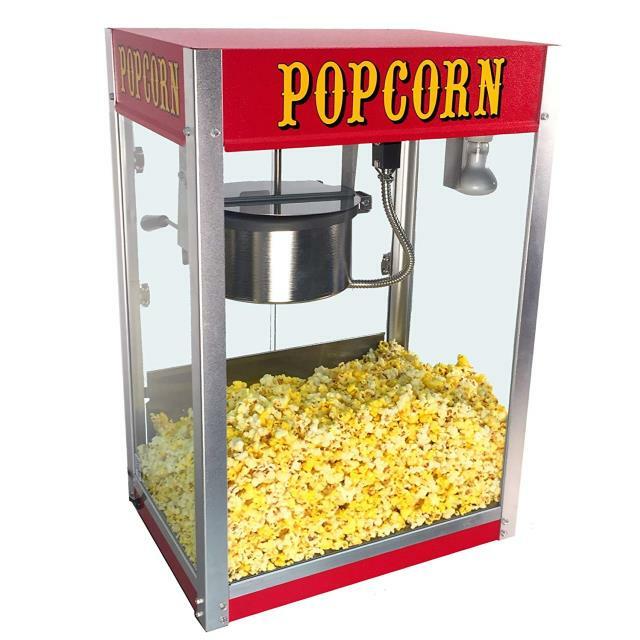 Standard counter-top popcorn machine, available in 8 oz or 4 oz. 8 ounce machine will produce approximately 130 ounces per hour. Dimensions are 18" x 16" x 31" high. Unit uses 1800 watts and will require a designated outlet. Popcorn packs (including oil, salt & flavoring) and popcorn bags are also available. * Please call us with any questions you may have about our popcorn machine 8 oz rentals/sales in State College, serving Central Pennsylvania.